Sara here from Eco-Vintage Weddings, presenting another exciting film wedding. 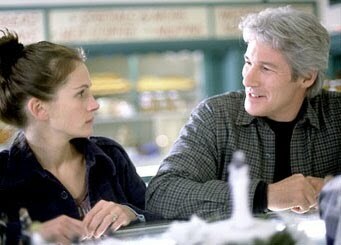 In earnest of being completely honest with myself, I have a mad crush on one Richard Gere. He’s always been my old-guy fantasy (don’t even ask my fiancé Jordan about my fascination with balding men), and, to tell you the truth, he’s my absolute dreamboat of a dude in this romantic flick with the effervescent Julia Roberts (who I adore). The premise of the film is this: journalist and jazz music aficionado Ike Graham, played by the drool-inducing Richard Gere, writes a column about a bride in Hale, Maryland, who has a penchant for leaving groom after groom after groom after groom after groom (count ‘em, that’s FIVE grooms!) at the altar. Maggie Carpenter, the lovely runaway bride in question, takes offense to the column (and rightly so), and promptly gets Ike fired from his job. The rest of the film follows Ike as he travels to Maryland and spends time with Maggie, who’s preparing for yet another wedding ceremony. Maggie’s failed weddings range from a Catholic wedding in which Maggie drags across the church a young altar boy who is carrying her train (to future priest Brian) to failed nuptials on a trampoline (to rocker-wannabe Gil). Throw in a wedding that involves the reproductive patterns of locusts (“bug guy” George) and another that’s an exercise in spiraling a football (football coach Bob), and you’ve got Maggie Carpenter’s life…until she met Ike Graham, of course. Wedding-wise, my absolute favorite of all of Maggie’s weddings is the one that actually garners her a husband at the end. Her off-the-shoulder, traditional white gown with lace embellishments is swoonworthy to say the least, and with her hair down (and no veil! ), Maggie looks like herself. No more debate about which eggs she likes, or which dress she should wear this time – this time, it’s just Maggie. And it’s perfect. Plus, walking up to her groom over a path of fallen autumn leaves … that kind of stuff only happens in film (how would those leaves stay there in an outdoor wedding, people? One gust of wind and it’s buh-bye, aisle…), but somehow feels so authentic, so achievable (gluing leaves to an aisle runner?) and BEAUTIFUL. Sara here, and I am so honored to be guest blogging on Journalistic Skepticism! While I don’t know a lot about movies, I’d like to think that I’ve become somewhat of a wedding expert while planning my own wedding, which is quickly approaching this summer. So over the next few weeks, Luke has asked me to chat a little about movie weddings, and what exactly makes them so magical. 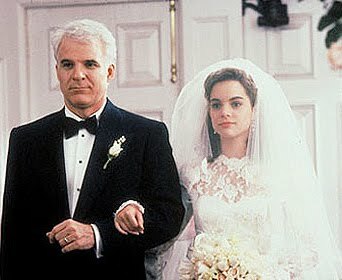 I decided to begin with (literally) my favorite film of all time – Father of the Bride (1991). 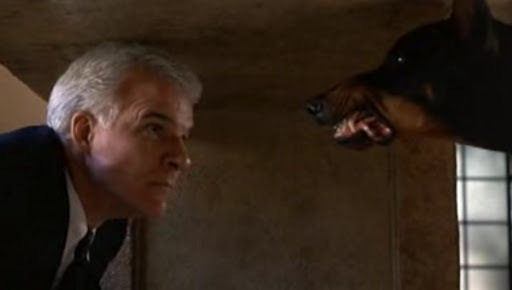 In this remake of the Spencer Tracy classic, Steve Martin’s portrayal of George Banks manifested the typical father of the bride character. George Banks struggled to squelch his Papa Bear protective instincts, as displayed by A) throwing his in-laws’ bank deposit book into the pool, then falling into the pool himself; B) suggesting that his daughter Annie and her intended, Bryan, “call up Gabe at the Steak Pit” and have him cater the wedding; and C) getting arrested for disrupting the supermarket by refusing to pay “for the superfluous [hot dog] buns.” He’s manic, he’s desperate, and yet, he’s lovable. 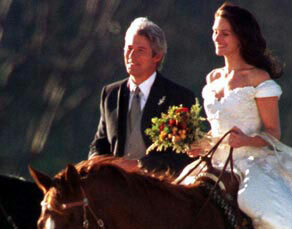 Now on to the (budget-crushing, jealousy-inducing, freaking gorgeous) part: the wedding! 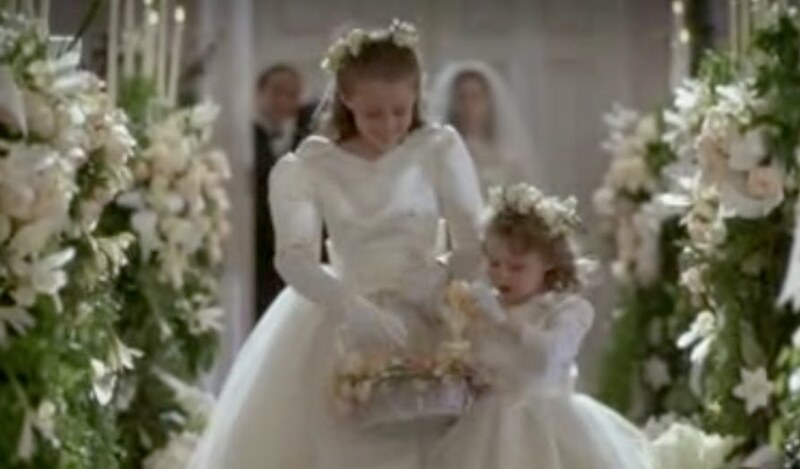 Annie’s long sleeved, vintage-inspired lace gown and cathedral length veil literally gave me goosebumps as a little girl. 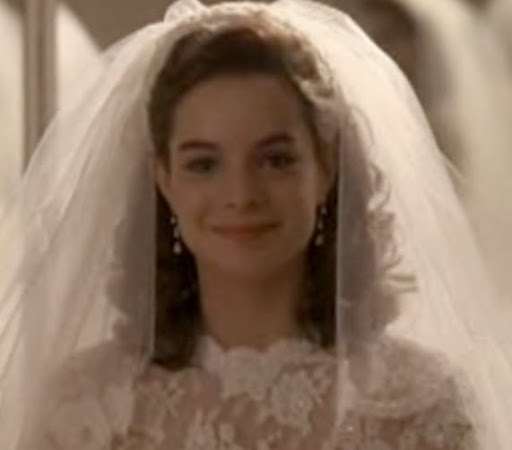 I love the scene in the movie right before George and Annie head to the church; George knocks on Annie’s bedroom door, and Annie turns around in her wedding gown and veil, just beaming. Annie then shows off her kicks (bedazzled sneakers that would even make Joan Rivers jealous), and the two take off for the church. 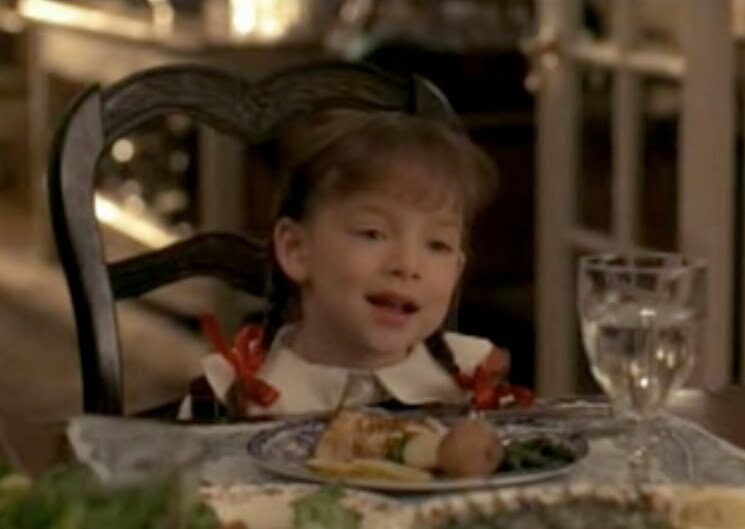 When imagining the quintessential American wedding, I instantly think pink, violins, chicken or beef, “The Way You Look Tonight,” and a bouquet toss, all things that Annie’s wedding to Bryan had. 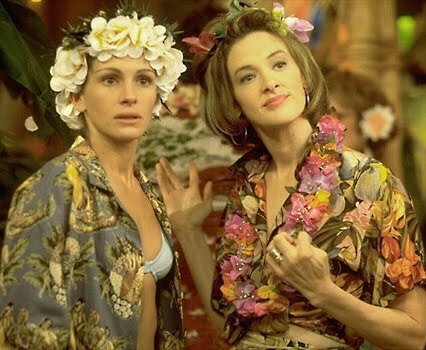 However, this wedding had something that all other movie weddings didn’t have (for me): completely sweet and honest vows. As Annie and Bryan exchanged rings, the words they uttered will forever be cemented in my brain (and, truthfully, these words will also be recited at my own wedding this summer): “With this ring, as a token of my love and affection, I thee wed.” So simple, so perfect, and (literally) the only way I could think of to slip my love for this film into my own wedding ceremony. 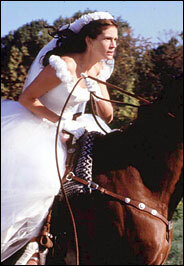 And yes, as a little girl, I knew that in some way, I needed to pay tribute to this film on my own wedding day; it shaped me that much!